₹ 215 including 50 ₹ shipping. Free Shipping Available. 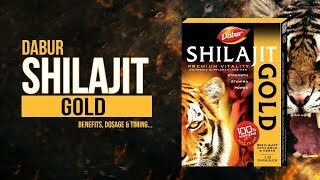 The shilajit gold for strength, stamina and power - 10 capsules Vitamins & Herbal is manufactured by DABUR and was added around December 2017. This version of the Vitamins & Herbal comes in Color : Gold. 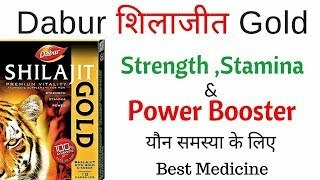 Dabur Shilajit GOLD Capsules Benefits in hindi - सिर्फ 1 ही कैप्सूल से बिस्तर पर आग लगा दोगे !